Rains and Pakora Cravings! | Who Says Healthy Food Ain't Fun!! ← Food for Thought – Are our Children Eating Right? Bombay/ Mumbai is at its beautiful best during the rains! And the perfect way to celebrate this dreamy atmosphere around is to sit near the window – and not just watch the rains, but enjoy the soothing sound of rain, breathing deep – taking in the freshness of the air that only a fresh rainfall provides; watching children splash around in the puddles and making paper boats and rejoicing in the smell of fresh earth! Don’t we just want to sometimes just go out there and dance in the rain? 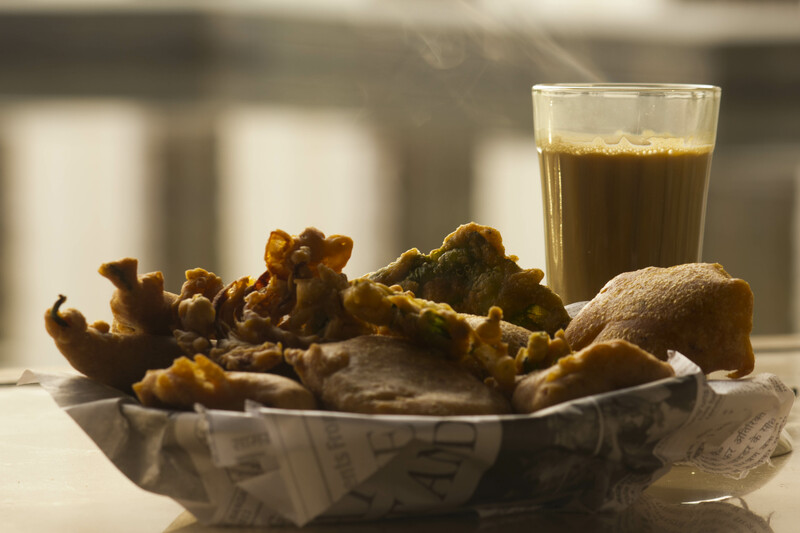 To make it even more perfect – is to now sip on the hot mint-ginger chai with some fried yummies like pakoras or the king of Mumbai street food – Vada pav!! Don’t we all crave this? Did you know – it is not some silly fancy to crave these foods during rains – but there is an actual reason behind this. Our innate cravings that come from our gut have solid logic to them. Most mothers know and some rather dread rains as they bring with it infections – both respiratory and digestive, fevers and various other issues. Why just children, don’t we also fall ill? Now let’s talk logic – when or why do we fall ill? Why is it that some people fall ill more easily and others don’t? The reason is Immunity or the Immune system. Low immunity has become a major cause of concern today owing to changes in lifestyle and our eating habits! And one of the most overlooked reasons why our immune system collapses is insufficient calorie intake. Be it at restaurants or at parties or in trains, anywhere for that matter – one of the hot topic for conversation includes counting calories and discussing our new discovered weight loss techniques or fad diets. So people want to avoid ‘the-so called-high-calorie’ food like the plague. And yesterday I overheard an even more fantastic gyaan (I am being sarcastic here!) – “we must never give our taste buds of anything that it wants.” And let me tell you – it did not come from a fit woman – rather from the exact opposite of fit! Given that Aunty’s logic – means no garama-garam pakoras or vada pavs! And yes a pakka chance of catching flu or cold-cough and general dullness. Coming back to what I always say – our body or gut and our innate cravings are not our dushman (enemy)! Your body is not planning and plotting all the time to ruin your “weight loss” program! In fact – we should revere our bodies for not reacting the way it should ideally have – for all the torture we put it through in the name of diet or exercise. Many people exercise as a way to punish their bodies for over eating. To them I would like to ask – did you eat the food or your stomach grew an arm and a mouth to eat it all! You were not mindful when you ate and you literally tortured your stomach into digesting all of that and if that was not enough you run like a maniac on treadmill to now burn it all off and punish yourself! Does this even remotely make sense? But so many people do this! We should eat and exercise from the perspective of being FIT, HEALTHY and HAPPY and not to punish ourselves. And to be honest these punishing tatics never work – because most people who may have lost “weight” doing these things always put it back on! Shouldn’t our diet and exercise plan aim to keep us fit for the rest of our lives? Or are we meant to yo-yo from losing weight and putting it back on? – and this seems to be like on a loop! 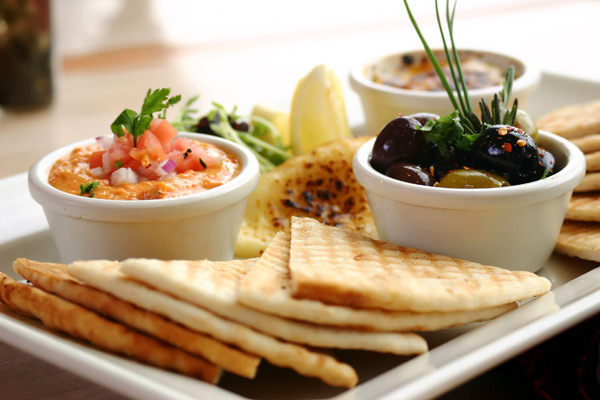 So again – your palate is not here to disrupt your your weight loss plans. It is only trying to protect your immunity – so that you do not fall prey to a whole range of infections. To provide the system with the adequate calorie surge needed to protect from bacterial and viral and other infections does our body urge us to eat fried food. And simply because it cannot speak in the formal way – do we end up craving for these. To my thinking minds – tell me one thing – during summers does our body not quease at the thought of eating these same fried food! This is because our gut-feelings are intelligent enough! Give your body some credit. So it is not you being crazy with your cravings and it has nothing to do with ‘control’ or ‘willpower’ as a few people feel. And I am talking about the pakoras and vadas that you fry at home – so you know exactly what oil you are using and you will not re-use that oil – which happens outside! And the craving for the ginger-mint chai with these is because ginger assists your intestines to break down fat and rids your stomach of gas. That way, your smart body has taken care of what-looks-like overindulgence too. So stop cursing your body – your cravings and your calories. Eat mindfully and eat in moderation and exercise right and you will find yourself enjoying your food and yet being Fit-Healthy and Happy! Bingo!! Dr Khushboo!! So only home fried with Chai this monsoon!! Lets practice.